Front: Front Zip Closure And Hood Style. A Jacket which rouses to the watchers and helps them a hero to remember Green Arrow it is dependably a pride to wear that sort of the notable clothing. 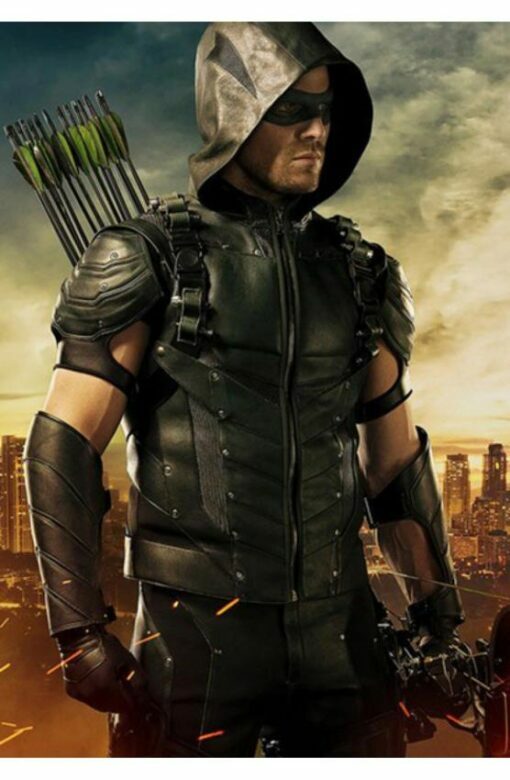 This Jacket has been shown in renowned TV arrangement Green Arrow Season 4. Stephen Amell has depicted the main character as Green Arrow otherwise called Oliver Queen. He had exhausted that lovely bit of the coat. William Jacket brings the same included coat for your which is been made with PU cowhide. This coat has a thick covering inside for your more open to wearing. It has full zip securing front with hood style. Green Arrow PU Leather Jacket has two takes which set inside the gooey covering inside. In general, this coat contains an easygoing look so fit clothing for your gathering wearing.